This pillow measures 18x18. 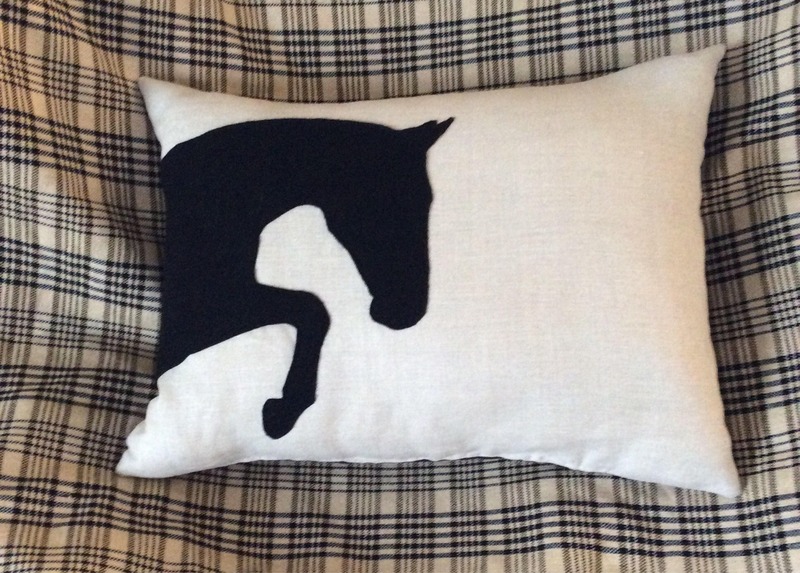 You can choose your own colors for both the horses and the pillow. 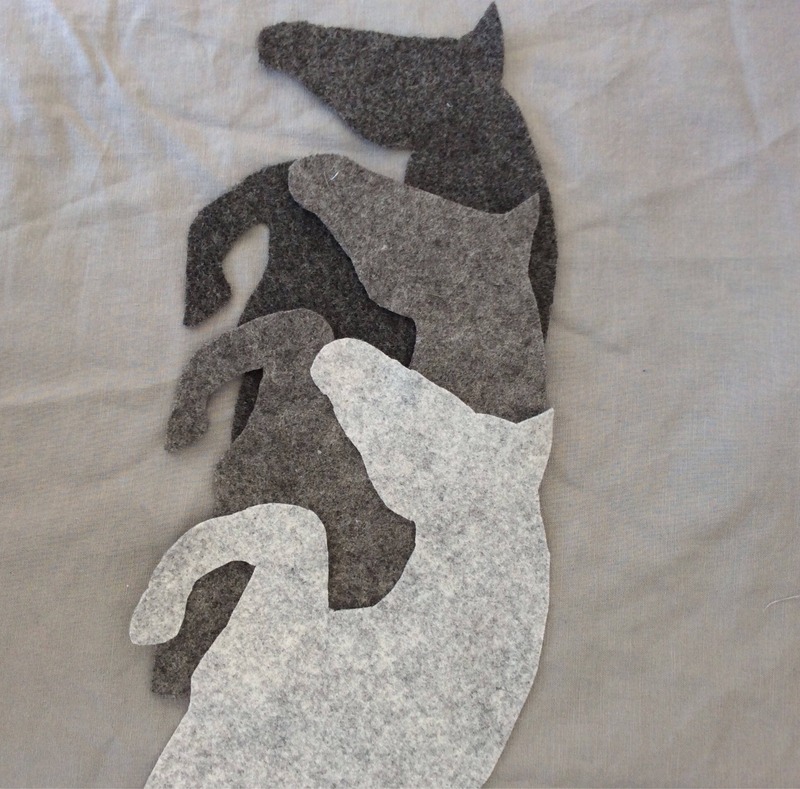 The horses are made from felted wool . Pillow form is included so no need to get your own. Bays, greys, black and chestnuts are all available. The pillow can be made in different sizes to suit your needs. 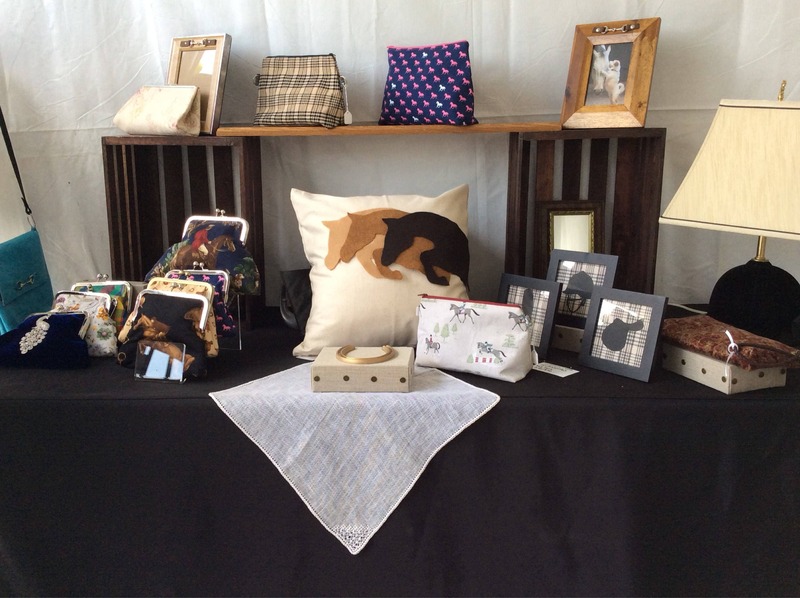 Both rectangle and square pillows are available. 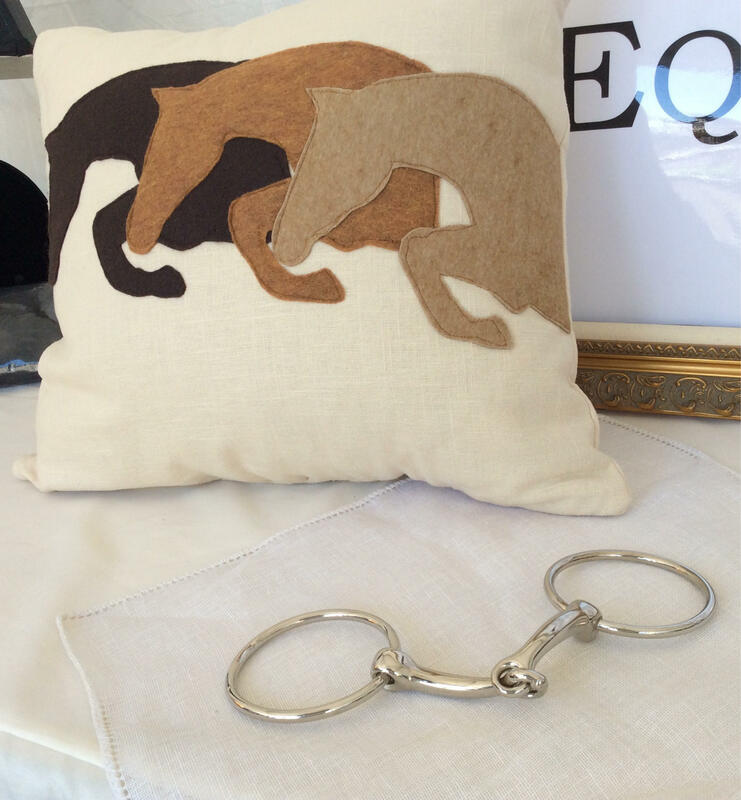 This listing is for the 3 jumping horses but the pillow is available with one horse or two horses facing each other. The price listed is for the tri color pillow. Please message me for price on single and double. The pillow can also be purchased without the pillow form with an envelope back for $40.00. Prior to shipping you will receive a photo of your custom pillow in progress to be sure you are going to receive exactly what you want. 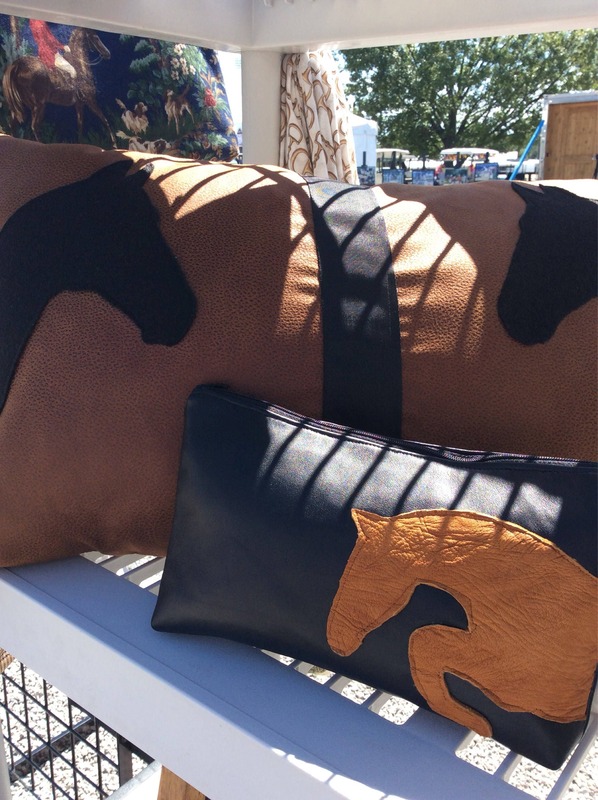 These pillows will also make an excellent gift for the equestrian in your life The pillow will make a statement displaying your love for the equestrian life in any room of your home. Please message me and I will set up a listing just for you.